Comments: Wearing Mandalorian armor, this cunning and ruthless bounty hunter lets everyone assume he is Boba Fett to take advantage of Fett?s notorious reputation. 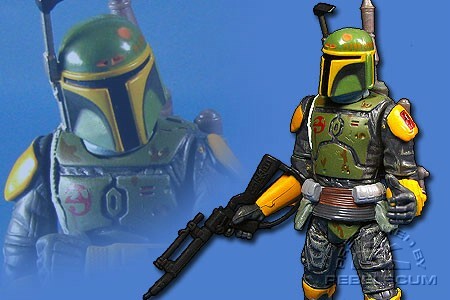 Unfortunately, the real Boba Fett is not flattered by Kast?s impersonation and intends to stop him. Watch Jodo Kast in action! 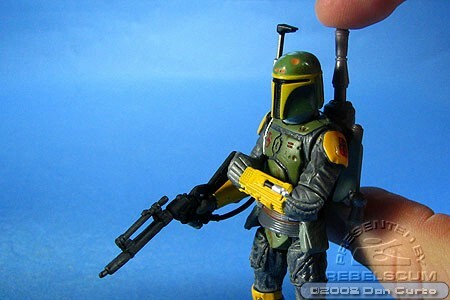 Jodo Kast is a repaint of 2006's TSC Boba Fett figure. Although Jodo Kast first appeared in the Star Wars: Boba Fett - Twin Engines of Destruction comic strip, the deco was inspired by the Decipher card game. This figure contains an extra "Droid Factory" piece to Build-A-Droid. 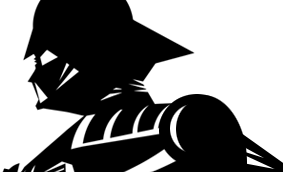 This figure includes 5D6-RA7's head. This figure has also been found in TLC wave 4, with the left leg of MB-RA-7.